Last week Barcelona cruised to the Spanish Championship in commanding and thoroughly convincing fashion, but they are far from done. 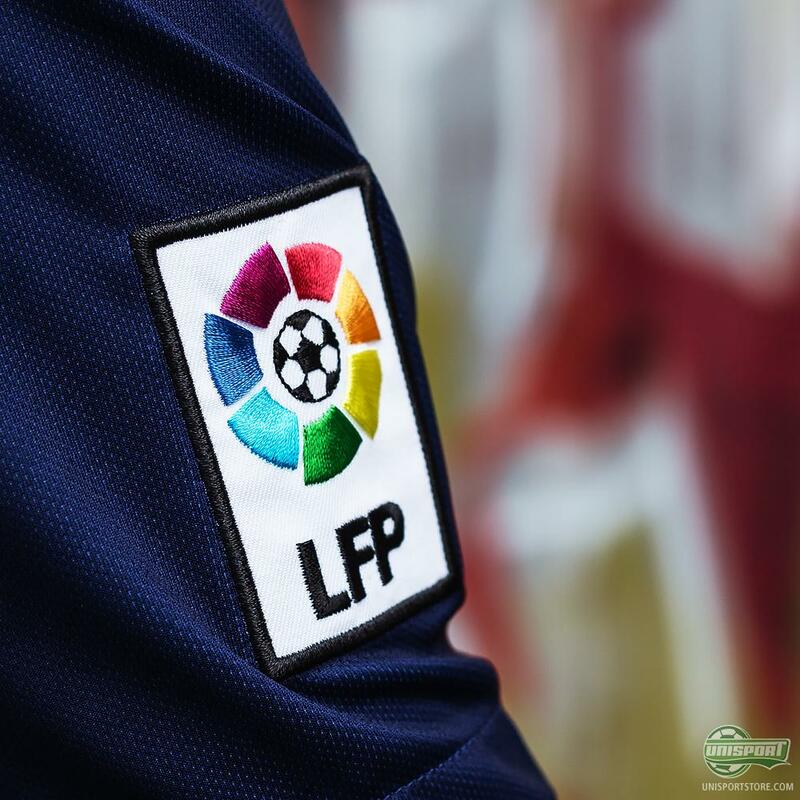 Two major cup finals still remain and the Blaugrana have their sights set on both of them. 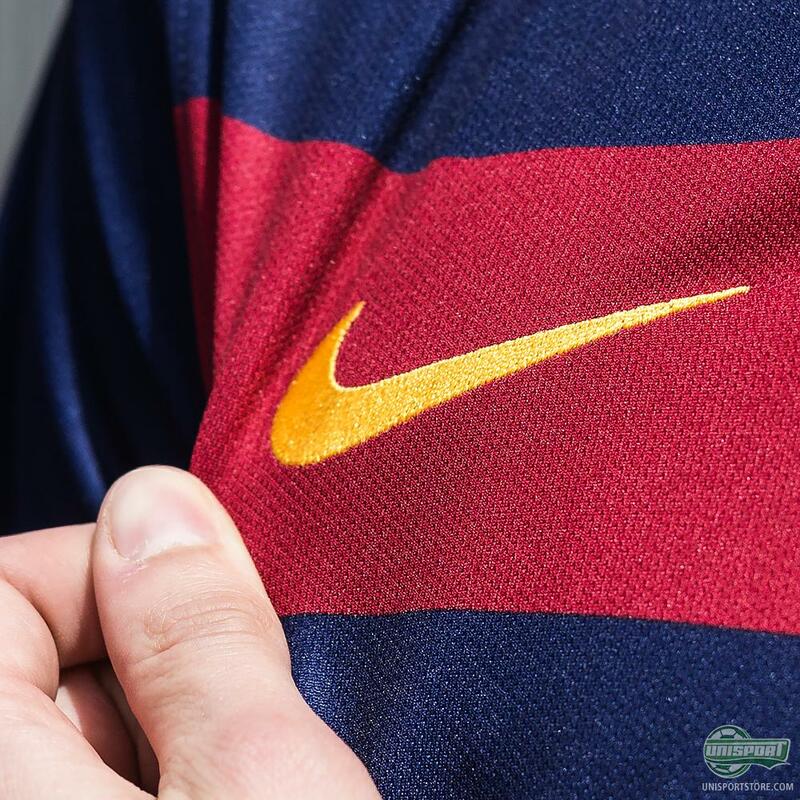 Nike now make sure they are adequately kitted out for the occasions with an ace, new home-shirt. 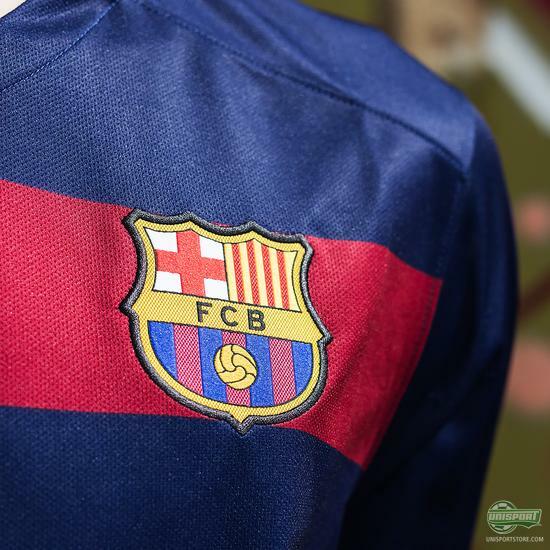 FC Barcelona have always been synonymous with beautiful and sophisticated football. The same can be said for their shirts that from year to year always show great variation, so they make sure to remain ahead of the curb. This year’s shirt is therefore very different design-wise from last year’s, with the home-shirt featuring a classic design that has bold horizontal lines running across the chest. 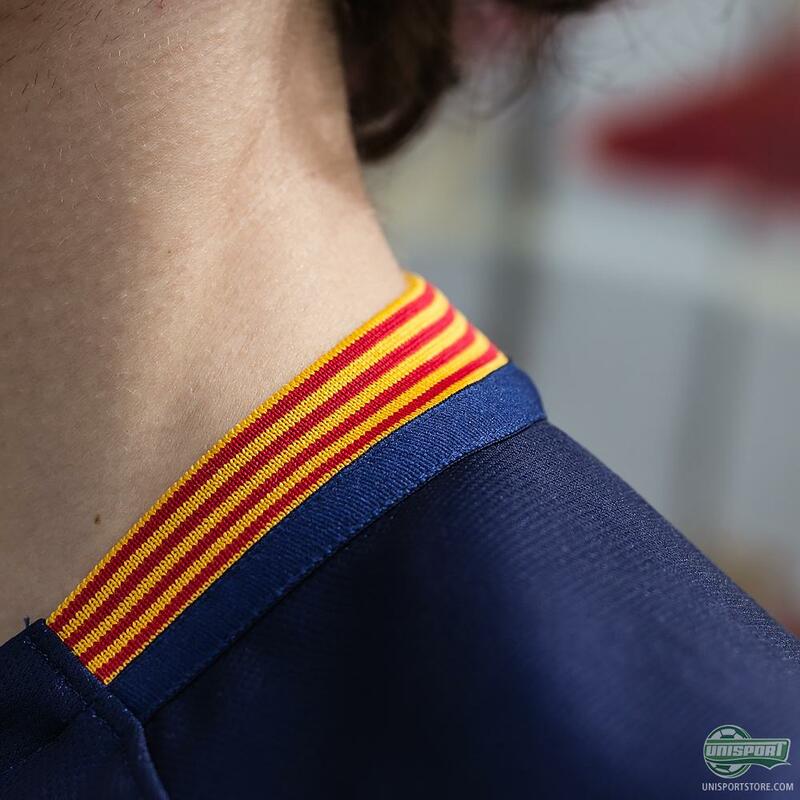 The Catalonian flag naturally still features, but again in a slightly different way than we are used to, as it forms the collar in very stylish fashion. Get your hands on the new Barcelona home-shirt for the 2015/2016 season from the 26th of May. 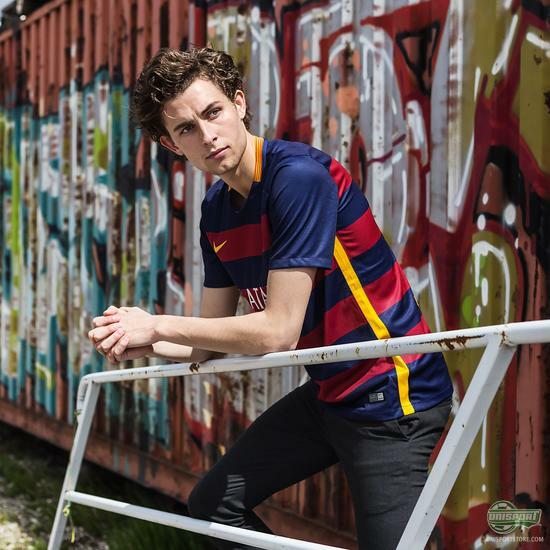 Barcelona are expected to pull out the new shirt, when they face Atletico Bilbao in the Copa del Rey final on the 30th of May, but you can already see the stunning new kit here. 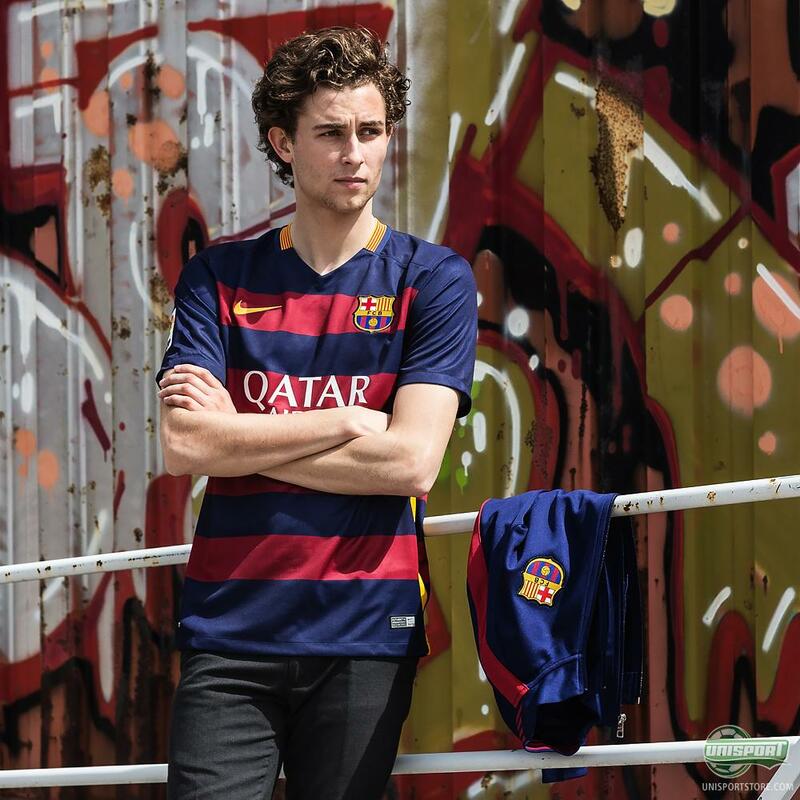 Will you be showing your support for Messi and the gang with the new Barcelona shirts?